Albany County Veterinary Hospital recommends the following websites. This website has a MAPQUEST LINK TO ACVH to help you find us, as well as more animal care information pages and kids activity pages. A search-and-answer website that will help answer all your questions about ANIMAL HEALTH, MEDICATION, THERAPY, SURGERY, BEHAVIOR, AND SAFETY. Visit the website of the AMERICAN ANIMAL HOSPITAL ASSOCIATION. 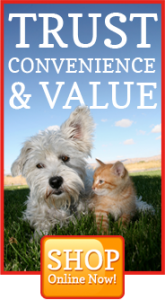 Albany County Veterinary Hospital has been an accredited AAHA member for 25 years. To maintain certification, we must undergo periodic inspection to evaluate our hospital for compliance with over 900 AAHA standards! A great source of information about your pet's health. The ASPCA's link for information regarding poisoning. A site with comprehensive information about TRAVELING WITH YOUR PET including travel requirements to various destinations. INFORMATION ABOUT RACING GREYHOUNDS FROM THE HUMANE SOCIETY OF THE UNITED STATES. Racing greyhounds need your help. Consider adopting one of these gentle, wonderful dogs. Contact the staff at ACVH for more information. Chat with other owners of DIABETIC CATS! The website for the HOUSE RABBIT SOCIETY. The place for answers to all your rabbit questions! Website of the HEDGEHOG WELFARE SOCIETY. Come find out how you can help one of these adorable little prickly pets!